After exiting Jordan Exit D, walk towards the left down Nathan Road, turn left again on Hillwood Rd (there's a Standard Chartered on that corner). You'll walk past a bunch of restaurants, a hotel, and another nail salon and a few alley ways. When you hit the first small road it's the last shop before the road on the left hand side. Because they are generally really busy, if you walk in you'll have to wait around 1-2hours until someone will be free to do something quick (aka no fancy designs). 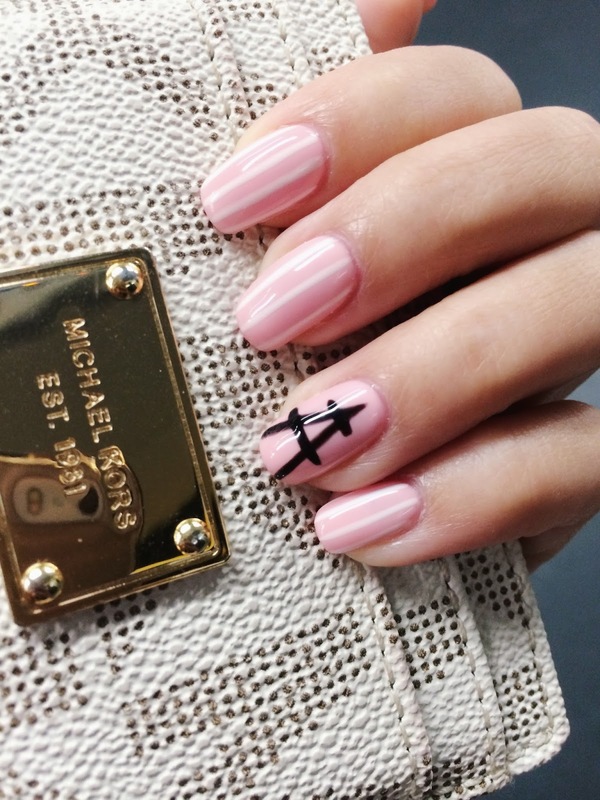 A lot of people search for designs before going into the nail salon to request for a certain design to be done. I generally just go on Pinterest and search for keywords like: summer nails, pink nails, aqua nails etc. They have anything from Acrylic Floral nail art, detailed drawn designs, to gem stones. They do have a box of stones you can pick from in the most common shapes like diamonds, triangles, bows etc. But you can also bring your own in and have them stick it on with hard gel. They are also able to do very detailed drawn on designs/shapes in any color of your choice, which won't cost a fortune to do. Because the prices are so cheap, don't be expecting a fancy place with leather chairs and serves you drinks. It's a small cramped space and boxes of tools, UV lights, baskets of nail color charts all over the floor. The reason why I like this place is because they are really friendly, they have hundreds of colors to choose from, they are really good with removing gel nail and the whole manicure process in general. They never scrape off the gel so my nails don't get damaged from the removal process. 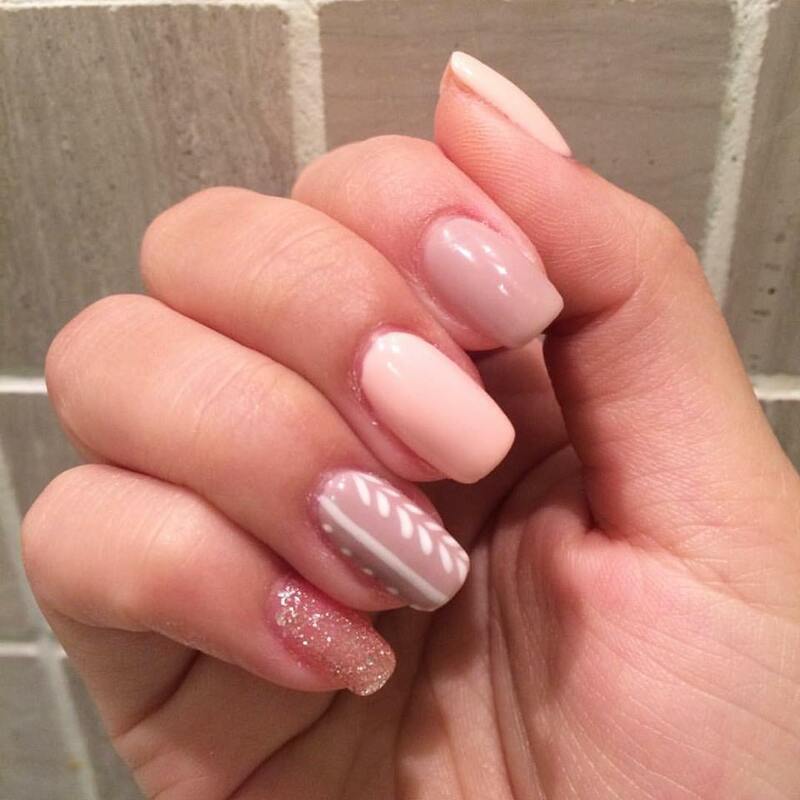 You can talk to the nail artist if you want, they are pretty chatty and always complementing on your nails, or the design you pick. If you've been there once, they will remember your name the next time you go, even if it's a month later. Also, they won't force you to buy "gel nail packages (10 visits)" like some other nail salons do. In fact they don't try to push hard on selling you anything. Here are some of the nail designs that they've done for me in the past year. 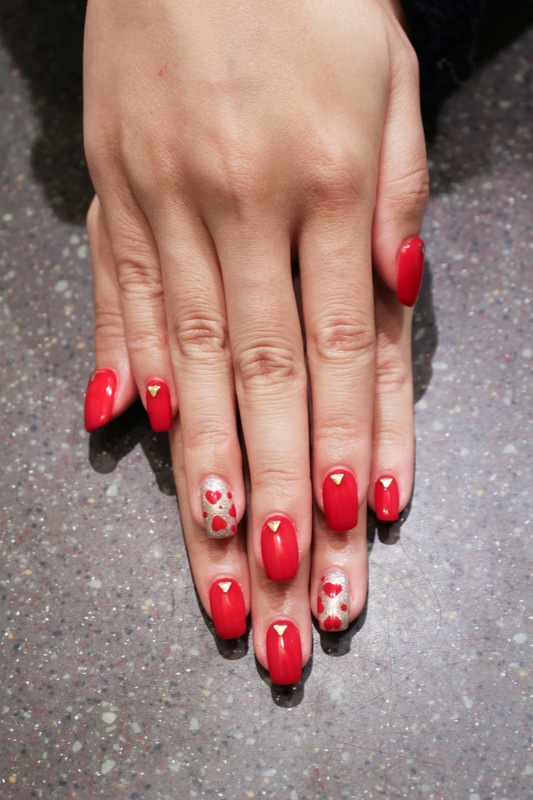 Generally a gel nail design in one color costs $148 HKD. 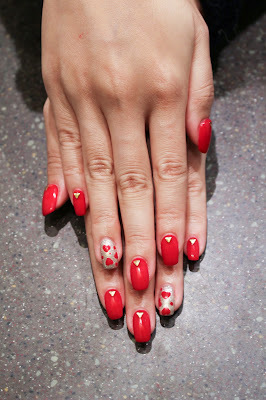 Every time you add a color, a design on one nail, gem stones, it's an additional $10 HKD. This is the team of the girls that started the salon, there are also other nail artists that aren't in the picture. My favorite artists is Annie (left side of the picture wearing the dark blue dress) and Mary (second from the right wearing the white top and gold necklace) To browse designs that they've done for their other customers, visit the Nail For You Facebook Page. 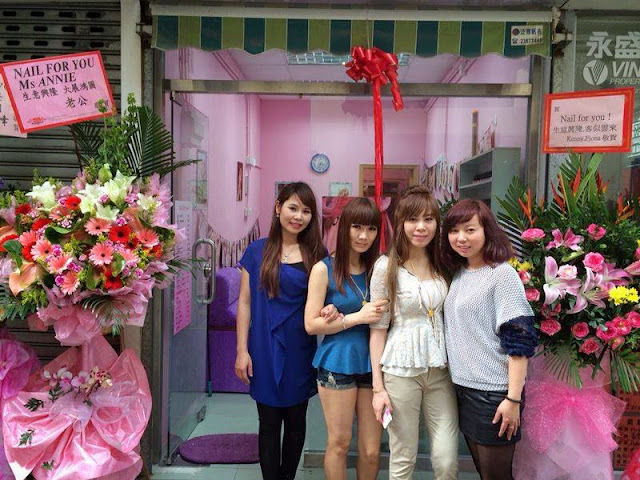 Don't forget to give these amazing girls a visit. 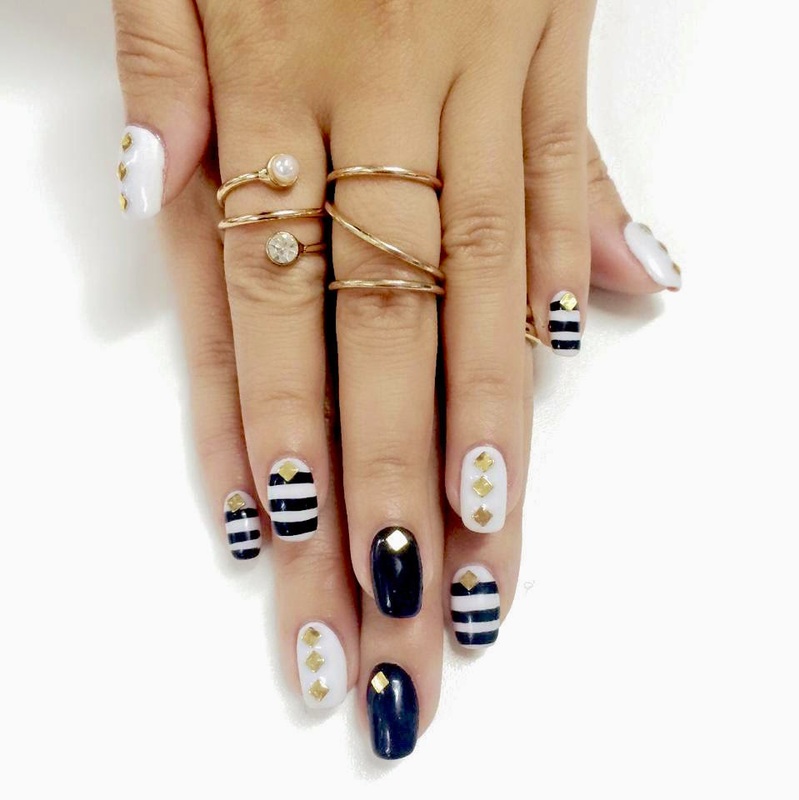 And let me know how your nail design turn out!